Are you more of a headline kind of person, and don’t have the time to read entire news stories? 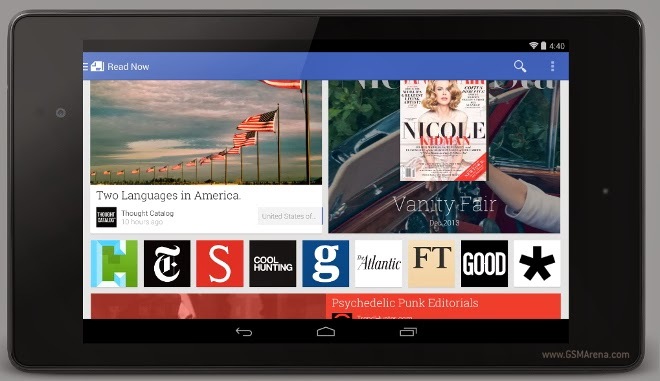 Then Google Play Newsstand’s latest update should be right up your alley. It features a “mini card” view that could save you lots of time while scrolling through your selected news. The new view boils all of the stories down into bite-sized headlines that you can check at a glance. If you want to know more about the story, just tap on the headline and read away. It also compresses the amount of stories that appear on your widget screen as well, so you’re never overwhelmed by a flood of news. The latest update also has a bunch of other features: you have new options for organizing your magazines, the capacity to have foreign news translated instantly, support for extra languages, and a whole bunch of glitch fixes. It still looks like the same Google Plays Newsstand, more or less, but the latest update should give users a more pleasurable and versatile experience.